Show off your sense of style with this gent's ring from Lashbrook Designs! 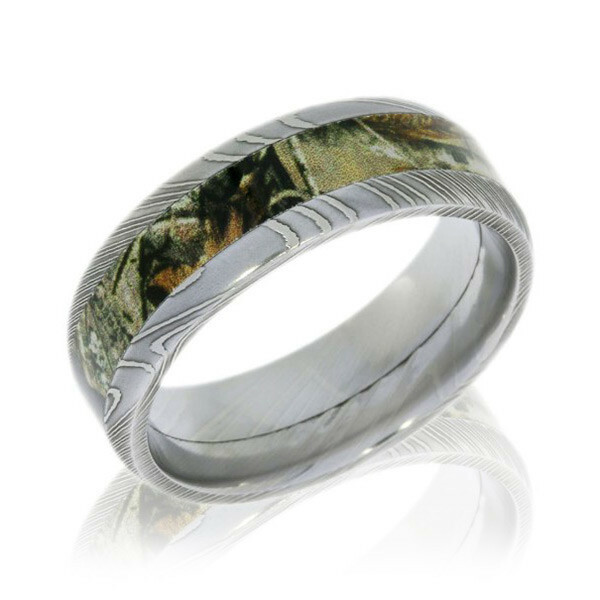 Crafted in richly patterned and polished Damascus steel, the 8mm domed style piece of jewelry features a 4mm camouflage pattern inlay. You will want to wear this Lashbrook men's wedding band all day, every day.